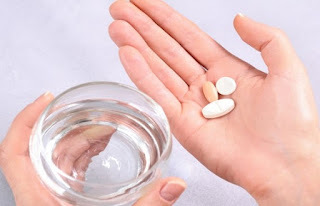 Self medication is very common in our world today just because it is so easy to get to our various pharmacy stores and buy an over-the-counter-drugs. But little or less attention are been given to the harmful effects that is associated with this act. In many cases, the proper dosage of the drug is overlooked and this can lead to an abuse of that drug and possible addiction. Now, what is self medication? For a professional definition, self medication can be defined as when a person administers drugs to himself/herself for symptoms he or she is experiencing, without the assistance or consult of a doctor or physician. Not all headaches are just mere headaches, so taking an over-the-counter-drug that soothes headache might not actually be the solution to the problem. At most times, when you eventually realise that you need to go the hospital, the underlying cause of the headache might have progressed to an advance stage. Over-the-counter-drugs might have the capacity of relieving pains temporarily. As a result, they can only hide the real problem that needs to be dealt with from the root. You should not be experiencing headaches, shoulder pain, stomach pain or back pain regularly. Even when you feel better after taking a painkiller, have you sit to ask yourself, why did the pain resurfaces so soon? My advice is that you should consult a doctor and save yourself some hassles and effect of self medication. Since it is so easy to purchase an over-the-counter-drug, users may completely rely on them and reach out to them whenever they are experiencing any discomfort. Also like i stated earlier, the right dosage is often overlooked which can lead to an abuse of the drug and a possible addiction. Accidental overdose occurs when a user consumes more than the recommended medical dosage. Some people may be more sensitive to certain medications, so a dose that is still within the range of acceptable medical use may be too much for them. This can eventually result in toxicity, which may lead to death. I will like to advice you to abstain from the act of self diagnosis and self treatment, always consult your doctor whenever you see are experiencing a symptom. By doing this, you will be saving yourself from the harmful effects of self medication. Do you know any of your friend who still engages in this act, kindly share this post with him or her so that the right message can be sent across to such a fellow.